Providing answers that educators always wanted to know about special education, this guide discusses: the pre-referral process; eligibility for special education; procedural safeguards; annual reviews and evaluations; and transitions from school to adult life. 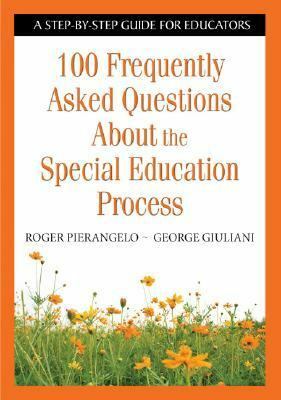 A useful glossary of terms is included.Pierangelo, Roger is the author of '100 Frequently Asked Questions About Special Education A Step-by-step Guide for Educators', published 2007 under ISBN 9781412917902 and ISBN 1412917905. Loading marketplace prices 107 copies from $19.00 How does the rental process work?